Now that the festive time of year is good and over, it’s about time to turn away from the entertaining desserts of rom-coms and high adventure (bungeed villains flinging themselves off high-rises, indeed!) and settle in for a very hearty meal of Indian issue films. We found, from three different decades, three serious films and many amazing performances. Bon Appétit! Julie M: Today’s feature was Rudaali (The Mourner, 1993). It was a fairly artsy film, directed by Kalpana Lajmi (niece of Guru Dutt) who also directed Chingaari, which I think you had recommended to me at one point. When the zamindar first gets sick she is turned out of the house, and things go from bad to worse. Her mother-in-law dies, then her husband takes ill with the plague and dies, her home (a gift from her lover) is taken to pay the debt on his funeral rites and she and her son become indentured to the zamindari family for 15 years’ hard labor. Still she remains dry-eyed and resigned to her plight, even when her son (Raghuvir Yadav) impregnates a local whore (Sushmita Mukherjee) and marries her, then she aborts the baby. Her son runs away, and still she remains stoic. She asks Bikhni, who used to be an actress, how she can cry real tears for people she has never met when she can’t even cry for all the things she could cry about, namely, that everyone she’s ever loved has left her. Jenny K: That Raghuvir Yadav is a surprising one…he’s in practically everything, especially when they need an affecting performance from a smallish but pivotal role. Does that in Salaam Bombay, too. In that one he surprised me by being rather young and handsome…never had seen him that way before. Just goes to show that we all have our day. Julie M: I recognized him right off, but I didn’t get that he was supposed to be slow until later in the film when they talk about it. I thought he was just ornery. Anyway, while talking about all this stuff Shanichari and Bikhni grow close. Here’s the song where Bikhni comforts Shanichari after hearing her story, and Shanichari learns what it is like to be taken care of. Afterwards Bikhni is called away on a mourning job. Unfortunately, she catches plague while she is away and dies, sending Shanichari one last message: Bikhni is, in reality, Shanichari’s long-lost mother. This news releases Shanichari; she is finally able to mourn everything that has happened to her, and she takes Bikhni’s place as the rudaali, becoming famous for the sincerity of her tears and intensity of her wailing. Jenny K: Well, if she couldn’t mourn sincerely after getting a bombshell dropped on her like that, she would have to have been made of stone! Poor thing. Julie M: Dimple Kapadia is, in a word, AMAZING in this film. She convincingly plays a young woman, a slightly older widow, and a supremely beaten-down, old-before-her-time crone. It’s quite an emotional (but not melodramatic) film, and she proves herself up to the task. This film is not to be missed. Jenny K: I haven’t seen Rudaali, yet, but it sounds great…not a light amusement, of course, but interesting. And Dimple will always be one of my favorites. She always puts all of herself into a role, like the one we discussed in Being Cyrus, she is just totally committed to her character, whether or not it’s a flattering one. Julie M: She was definitely the best thing about Hum Kaun Hai, for sure! Can’t wait until I get hold of a copy of Bobby so I can catch her at the beginning of her career. Julie M: I watched Fiza (2000) this afternoon. Compared to Rudaali it is not at all arty, but it is serious and highly melodramatic, which normally I get impatient with, but my jaw continually dropped at Karisma Kapoor’s fabulous performance. Whenever she was not onscreen my attention wandered… except, of course, in this “preparing for the action” scene, which I know was put in to please the ladies. Nice foreshadowing of Hrithik’s Dhoom 2 role–dead serious and focused. Jenny K: I was sort of sorry when Karisma took a kind of backseat to her baby sis, Kareena. Not that both don’t do good work, but I think that Karisma tends to be overshadowed sometime by Bebo’s gift for finding the limelight. She isn’t always involved with lightweight fare as in Andaz Apna Apna [shudder] or Dil to Pagal Hai. Karisma’s the best thing in Shakti, playing a distraught mother taking an active hand in saving her son from the influence of his psychopathic grandfather (Nana Patekar in full scene-chewing glory) and is quite wonderful in Zubeidaa, as a film actress in the ‘50s on her way to the top, who marries a prince and yet doesn’t live happily ever after. Rekha and Manoj Bajpai are with her in that one; strong performances all around. Maybe a bit too weepy for you, not sure, but you will like the score, all Rahman! Julie M: Well, never fear, she’s back! In Fiza I really liked Karisma’s “girl power” dance number, taunting her boyfriend for not liking her the way she is. Brief plot summary: It is 1993. Fiza (Karisma) and Aman (Hrithik) are Muslim teenagers living with their widowed Ammi (Jaya Bachchan) in Mumbai–they are a a very cute and close family. One evening Hindu-Muslim riots break out; Aman rushes out to see what’s going on and is not seen again. Six years later he is still missing. Fiza is sad but has grown accustomed to his loss; however, the distraught Ammi still visits the police station weekly hoping for news. While out on a job interview Fiza spots Aman in the city and hope is again rekindled: she pawns the family jewelry for bribe money, causes a ruckus in the press and with politicians, disrupts her relationship with her boyfriend, and eventually tracks him down on the India/Pakistan border, where he has become a jihadist. The story of what turned him in that direction and what happens next (and next and next) is the stuff of high drama and even higher melodrama. Yes, people die. Jenny K: You sound so happy about that…so bloodthirsty! Julie M: Well, I thought I ought to warn people. It’s quite unnerving, actually, and I think something like this would not have been possible in mainstream film until Dil Se’s paving the way a couple of years previous. Jenny K: It’s funny that they named it Fiza if it’s all about war and terrorism. I looked about online, and it translates to variations on “a pure wind filled with love and romance” to “God’s Blessing”. In either case, it seems a strange title. Julie M: Maybe it’s supposed to be ironic, since he’s a terrorist? Hm. Unfortunately the filmmakers kept breaking the mood by putting in item numbers like this one with Sushmita Sen, and this equally random, but depending on your orientation a much more interesting one, with Hrithik. I understand why they’re there–otherwise it would be an overly intense film–but they do not advance the plot or provide useful characterizations, and I found it difficult to get the mood back to the main action afterwards. It could be for this reason that the film tanked a bit in the box office. My favorites were the ones that added rather than distracted, like this one with music by A.R. Rahman. Jenny K: Weird…A Rahman song in the middle of an Anu Malik soundtrack. Wonder what went on there. Not at all usual, as they are more often competitors…story there, I daresay. Julie M: Well, it was a qawwali (Sufi devotional song), and seemed to call for a specialist, and they couldn’t get Nusrat Fateh Ali Khan? All in all, it’s a great message film–“we are all Indian no matter our religion”, a message that even the jihadist Aman is fighting for–and fabulous performances by all three lead actors make this a win. Even though it was only his 2nd film released (first one that he actually signed to, which is an interesting fact), Fiza showed Hrithik as much more than the chocolate hero he was in KNPH. Well, at least the second half of Fiza did. The first half showed him to be too sweet, and I am not a fan of him in sweet parts. All my thumbs and big toes are up for this one, which I think may make my Top Ten up near Dil Se. Jenny K: I may have to watch it again when it comes back in the returns…I don’t remember being quite that impressed by it. Not that I disliked it, or anything, but it was just so-so for me. Jenny K: I know! No accounting for taste. It was more impressive, still, when you realize that SB was Mira Nair’s first full feature film. I watched it again last night, first time since I started all this Bolly-madness, and it is even more deeply affecting, now. She certainly knows how to spot good talent. As to Nana, I liked his performance, but in this film I’m remarking more on his presence…just electric. I’m glad you pointed out Irrfan Khan as the scribe or I might not have noticed. Julie M: Although this film is relatively plotless, the episodic narrative concerns Krishna, a young boy who ran away from his village home after a misunderstanding and makes his way to Bombay, where he lives on the street, selling tea, plucking chickens and even turning to crime as he tries to earn enough money to return home and make up for what everyone thought he did wrong. It’s just heartbreaking. The adults in his new life include Baba (Patekar), a drug kingpin and a pimp; Rekha (Anita Kanwar), Baba’s prostitute-girlfriend and mother of young Manju who has a crush on Krishna; and Chillum (Yadav), whom we understand to be a grown-up street kid who is also an addict and a runner for Baba. Jenny K: This was only Raghuvir’s second film. Can you believe it? So talented even at that inexperienced stage. He’s done so many things since then. Did you know that last year he even played Hitler? Yep. Julie M: Here’s the beginning of the film, where the runaway Krishna has joined a traveling circus and is abandoned by them, occasioning his relocation to Bombay. Jenny K: The kid who played Krishna, Safiq Syed, was wonderful, too. Won an award for best child actor that year, but only managed one other film in his career, one called Patang, about four years later with Shabana and Om Puri. The plot sounded similar from a description I found…small group of thieves that worked the trains for food and loot, mostly children, led by a Fagin-esque Om, who was in love with Shabana’s character, yet another prostitute with a heart of gold…her son, Shafiq, bears the burden of Om’s interest. I can’t find it available anywhere. Well, Safiq’s now repairing and driving autorickshaws for a living. The fickle hand of fate. Julie M: My understanding is that he wasn’t really an actor, he was just a street kid that Nair found. She also filmed the brothel scenes in a real brothel, and the madam in the film was the actual madam of that brothel. How she got such amazing performances out of non-actor people…it was more like a cross between a fiction-film and a documentary. If you want to catch it, most of Salaam Bombay seems to be on YouTube, subtitled in English, but in a lesser resolution. Here’s part 1 (of 12). I would rate this a MUST WATCH, not just for fans of Indian film but for fans of any kind of film, in any language. Julie M: Finally finished Khamoshi: The Musical. Took me three sessions, and I’m still not sure whether I liked it. It was very rhona-dhona, which I don’t like, but Nana Patekar and Manisha Koirala were amazing in their roles. The songs were not translated, and since easily half the movie was sung (and the rest completely backgrounded–it felt like an opera), I think that I missed a lot. But the real surprise was that I liked, actually liked, a young Salman Khan, and I realize this is the earliest movie I’ve seen him in. Pre-bulbous-muscles and with good hair, and a wonderfully refreshing youthful sweetness, I now see why he’s so beloved. People must see him and keep remembering him in his prime. Even in this film, though, he displays that weird sartorial sense. His costumers must ask him what he wants to wear, because some of the ensembles looked very odd and similar to his “civilian” clothes. Jenny K: You’re so funny…”remembering Salman in his prime”…he’s a bigger money maker now than he ever was back then. But I agree, he’s too muscular now. That musclebound walk in Bodyguard, with biceps so big the arms wouldn’t go down was a joke, but I can’t deny that he looked sweeter and more vulnerable back in Khamoshi. Julie M: Prime LOOKS. I don’t doubt that he’s big box office now, but his rep had to come from somewhere. ICK on his muscles, though. 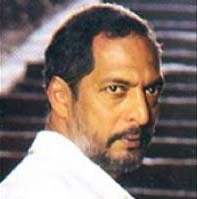 Also, I recalled seeing Nana Patekar in something and liking him, not an Indian film though, but his filmography isn’t helping me figure that out. But man, overall this movie was such a bummer. Just when you thought things were OK, someone dies or disappoints someone else and cue the sighing and gnashing of teeth. So: liked a couple of the performances, hated the bulk of the storyline, missed the point of most of the songs, and as usual I liked the look of a SLB-directed film whereas most everything else did not live up for me. Jenny K: Well, I am sorry that your 100th movie wasn’t more of a thumbs up. Congratulations, by the way! Julie M: Thanks for the congrats! 100, wow. Glad you’re keeping count because I’m not. Jenny K: Khamoshi is a very unusual film for what was going on at the time, not very many films made at all about the deaf, and then making it a full-out musical! The casting was very non-traditional, too with Nana and Seema in the leads. It was very early in both of their careers, and they always give wonderful performances. 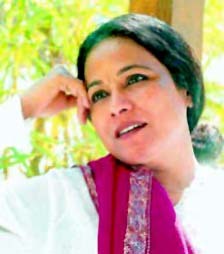 Seema always plays tough women, either mentally or physically. She was the best part of Water, the only one who made me cry, and you can’t have a tougher debut than playing Phoolan Devi in Shekhar Kapur’s Bandit Queen! It’s based on a true story about a woman who was abducted by bandits and ended up becoming one, herself, lived a violent life, went to prison and after she got out, became a politician! I haven’t seen the film, but have heard it was very controversial when it came out. Phoolan Devi, herself, said that it wasn’t accurate, but it made her very famous. It’s on Youtube, but only in pieces. 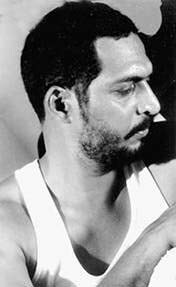 Nana Patekar, too, doesn’t tend to do nice guys. I remember finding his role in Salaam Bombay by Mira Nair as very animal, very sensual, and rather sick. Always gives a very layered performance, even in films like Shakti (bad movie, good performance) and Bluffmaster! Salaam Bombay is online, too. Not sure which “not Indian” films Nana would have been in. I saw Salaam Bombay years before I started watching Indian films as an alternative vocation…Mira Nair’s first big film. I saw it in a standard theater. Much later I realized that Nana was “that same guy, but much younger.” I saw a clip from it on YouTube and Irfaan Khan had a tiny role in it too, as a sidewalk letter-writer-for-hire. Nana also did a film called The Pool, which had an American director, Chris Smith, but I still think I saw it at a film festival, because it didn’t release wide. It made inroads at Sundance, too. Nice quiet little film. Oh, and I remember you did say something about his performance in Bluffmaster! That’s the only one I remember you commenting on. Julie M: Maybe that was it. But I could have sworn it was a non-Indian film…Irfaan Khan, I definitely remembered from The Namesake, also Tabu. And the actors from Bend It Like Beckham were all NRI except for the dad, Anupam Kher, right? Jenny K: I think all the actors from BILB have careers in American television serials… Parminder Nagra in ER, Archie Panjabi winning Emmys for The Good Wife, Jonathan Rhys Myers on The Tudors, and one could argue for Keira Knightley’s Pirates of the Caribbean films as being serialistic. End of non-sequitur. As far as I can tell Nana has never been in an English language film, though occasionally I hear him speak English, but as far as I remember, he seems to get the majority of his roles in Hindi or another dialect. And he does a lot of “country” roles like Disha that I sent you. It’s a bleak but interesting story about a family (husband-Om Puri, wife-Shabana Azmi, his brother-Raghuvir Yadav) who run out of work in the country, and send their younger family members to work in the city…Nana is another local who follows Raghuvir to work in a city factory…and then they find that the urban promised land is no better than the poverty they left…just more crowded. Very good cast and performances. 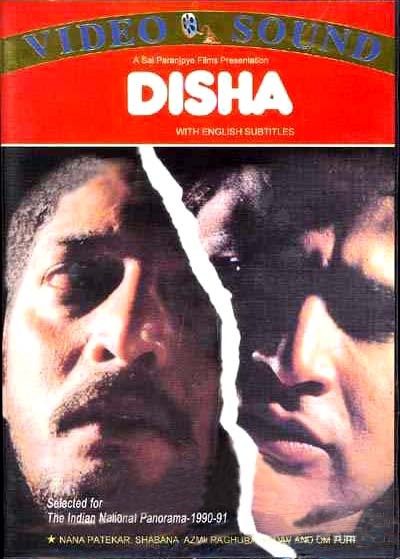 Julie M: OK, so I watched Disha (The Uprooted, 1990) tonight. I liked Raghuvir Yadav’s performance better than Nana Patekar’s, actually, although Nana’s was pretty good too. Shabana Azmi (yes! who I remembered from 15 Park Avenue—I’m not totally hopeless) had maybe one good scene and otherwise spent the whole film in the kitchen, alternately cooking and sniping at Om Puri. Overall I felt the film could have been better. It was a hyper-realistic look at a certain and largely invisible segment of Mumbai’s masses and how they came to be there (immigration into the big city because of lack of work in the countryside), and so was worth seeing from a cultural perspective, but it seemed to me to have been rendered in a monotone. There were joyful moments but they seemed devoid of real joy, even the celebration near the end, and the potentially dramatic moments seemed flattened as well. I kept waiting for something to really happen to these people, but it never did—it was mostly a collection of low-key interactions, many without any dialogue—and then it ended. Suddenly. Even the two songs were a bit on the pathetic side (as in, evoking pathos) even though they were supposed to be celebratory. I came away very depressed. B watched the first half (or so) with me and said that it was more like a documentary than a fiction film. And what happened at the end? The only thing I can figure out is that [spoiler alert] Phoolwanti had started sleeping with her boss from the beedi factory to keep her job, and that’s why Nana’s character suddenly came back. [end spoilers] Too bad: he was a bit of a romantic optimist through the whole movie, and you could tell that his life was shattered. And you said Nana didn’t play nice guys: he was definitely a nice guy in this. Jenny K: No, he just doesn’t specialize in nice guys. I bet he’d say the bad guys are more interesting. I’m not sure about the ending to this one. It has been a long time since I watched it. It was sad, I grant you. I don’t even remember songs being in there. It just had such a good cast, and good performances, and it’s an example of a type of Indian film that should be checked out from time to time. It balances out the overly filmi side of Bollywood. Do Bigha Zameen by Bimal Roy is I think the best of the genre of poor farmer being taken advantage of by fate/The Man/etc. films. It’s sort of cleansing in its aesthetic. Here’s the opening number of the film. From the look of it, I’d say that Aamir drew a lot of Lagaan‘s look from it. And if you wanted it, this is the whole movie with subtitles. There were only two songs in Disha. One was early on, at Nana’s character’s wedding, and it was kind of weird—the female singer had an outwardly happy face and the music was bright, but the lyrics were double-entendre about how awful life is. The other one was in the men’s dorm where they used the click-clack of the machines to inspire a clapping/syncopated rhythm song/dance (a pretty long one). The latter song really seemed like a desperate attempt to inject levity into what is a horrible existence–not a life, existence is the correct word. So basically—the songs made you feel worse instead of better. Jenny K: Dear me, sounds even more dismal than I remembered. But, I have some interesting news on the book to film front which looks rather exciting. Don’t know why I haven’t heard of it so far. I couldn’t believe I had only sent you two films with Shabana Azmi in it, as she’s sort of the Arts & Literature Queen of Indian cinema (in multiple dialects, of course) and she’s been in over one hundred of them. So, I checked on IMDb to be certain and there it was! She’s in the new Deepa Mehta film adaptation of Salman Rushdie’s Midnight’s Children! Holy Caroley…the cast list looks good, with Shabana and Seema, wonderful character actors like Rahul Bose, Rajat Kapoor (the uncle in DCH and Monsoon Wedding) and Ronit Roy (Udaan) plus newcomers like Siddarth and Soha Ali Khan from Rang De Basanti, and even the little kid from Taare Zameen Par, Darsheel Safary. Here’s a short clip of Salman Rushdie speaking of adapting the book. And there’s also a longer, more film-scholarly interview with the director, Deepa Mehta, and later in it Mr. Rushdie, if you have a spare hour. You’ve probably read Midnight’s Children, with your love of Indian literature, but I was wondering if, with the film coming up, maybe I should finally read it and we do our first literature post. What do you think? Julie M: I most certainly HAVE read Midnight’s Children and now have got to keep from piddling with excitement for more than a year until the film releases. I have a stack of other Indian books to read (sitting on my bedside table at this very moment is A Fine Balance by Rohinton Mistry and The White Tiger by Aravind Adiga, and I’m trying to clear some time so I can finally dive into Vikram Seth’s lengthy A Suitable Boy–I guess that’s what winter is for! ), but will excavate my copy and re-read it so I can discuss it semi-intelligently with you. Let’s do it! Jenny K: I just got back from Zindagi Na Milegi Dobara; I skipped out on the “art stuff” at the film festival. Wonderful evening…lovely show. Good music, have to get the soundtrack. Just the shots of Hrithik alone are worth the price of admission, and then you have Farhan, who even with an atrocious haircut manages to touch me, yet again. Abhay Deol who is the third lead, the groom to be, I hadn’t seen but quite liked. AND I have now officially seen Katrina Kaif in a movie that she registered in as an actual personality and not just pretty fashion model! I, dare I say it, liked her quite a lot in it. Go figure. So, you must go see it at the theater, and let me know what you think! If the Saturday night crowd here is any indication, it may not be there long. Slow, small crowd, but Indian crowds gather late, and the 9:30 bunch may not have gotten there when I left at 9. I hope, fingers crossed. Hrithik did dance in this one, and not as many numbers as I’d have liked, but better than the last one or two. Julie M: Haazaron Khwaishein Aisi…I think I would have appreciated it more if I knew more about Indian politics in the 1970s. Very serious movie, very realistic, definitely the kind of “issue” movie I like even though I missed a lot of nuances through my ignorance. It’s the story of 3 friends in college in Calcutta–Vikram (a middle-class youth from a politically involved family), Geeta (a richMadrasgirl schooled inEngland) and Sidharth (a rich local boy)–who are casually involved on the intellectual side of revolutionary politics while in school in 1969. Most of the movie is what happens to them over the next 10 years, during a period of political upheaval that strikes both the urban areas and the countryside and involves all 3 of them to varying degrees. The performances were very good, understated yet moving. It won a Filmfare “best story” award, and several “best male debut” awards for the actor who played Vikram (Shiney Ahuja). He’s the closest thing to a big star in the movie. I’d say it’s worth seeing if you are in the mood to see a realistic Indian movie, but it’s kind of sad throughout and kind of bloody at the end. Om Shanti Om…such a cute movie! Great music, too. I laughed myself silly because I recognized the Rajni parody, and I laughed at the “pain of disco” number because SRK was so over-buffed and the number was way over the top. (was that even him? or did they paste his face on another actor’s body?) And the Filmfare scene–LittleB and Akshay–so freaking funny!! the party scene was great too with the actors playing themselves in sort-of parody. Just a lot of fun all around. Jenny K: Glad you liked OSO…I liked it too, but I got a bit tired of the melodrama in the second half. I kept going, alright, already, wind it up! Not a good sign. I liked the first half much better. Deepika was pretty, but she really doesn’t hold my attention like Kajol or Madhuri would. And that is SRK’s real body in the video, at least at that time. He pumped like crazy and did lots of goofy stuff to look liike that when he knew it was needed to do what he wanted for that character (shallow, self-adoring, etc.) The director said that he even dehydrated himself on the shooting days and did some special diet so that he looked particularly cut. I don’t think that he could, or intends to maintain that level. Almost impossible, without total concentration on it…and he’s way too busy for that. Julie M: I agree about Deepika, and the other current “it” girl, Priyanka Chopra. So bland and generic, just pretty. No character. Prefer Konkona. Jenny K: Priyanka has been getting better as she goes along. Best so far is 7 Khoon Maaf, where she plays a black widow of sorts…or is she?? Not a great performance, but definitely more varied. Oh, when I was rereading you HKA review, it remindied me of the description, a bit, of one called New York, which you should look for. I don’t think I own it, but it’s another two boys and a girl triangle, set in the apple, right after 9-11, so it’s got profilin’ goin’ on and angry zealots and good guys who do bad things for good reasons, and also…all the early college scenes at “New York College” were filmed at Bryn Mawr! The school looks fabulous! Jenny K: Khanna always spells himself with an “e” at the end of Akshaye to help us along 🙂 Though I never confuse them, because Akshaye is a nicely brought up young man who answers his fanmail, even if it is by email. I still keep it, but it’s not as fun as a real autograph would be. Sigh. Julie M: If only he would let his hair grow. Jenny K: Unlike his father Vinod (worked with Amitabh a lot in the 70’s) and his brother Rahul (Bollywood/Hollywood and Earth), Akshaye is severely follicularly challenged these days, and I think he keeps it short so he’s not reduced to plugs or comb-over syndrome, of which I approve. To prove my point, here’s the “meet-DEFINITELY-cute” scene in essentially his debut film, Mohabbat, back in ’97 with Madhuri. Set up, her car has broken down in the rain, of course, and she can’t get anyone on the pay phone, it’s broken, and she runs for shelter into a nearby stable where Akshaye appears like a well-dressed hunky stable boy, or something. He’s not a stable boy in the film…don’t know why he was there, he works in an office in this one. Not the greatest movie, but I like him in it. Sorry no subtitles. Julie M: Much better than he looked in Taal. Jenny K: I find Akshaye attractive, hair or no, but that’s because of a nice face and fine, expressive eyes. Jenny K: I’m probably going to give that one a pass…sounds too much like Gangajaal which pissed me off so much…honest cop in a corrupt world, my a**. This sounds no different. Even Ajay probably won’t get me in unless I read some stellar Indian reveiws about how good it is. I’m going to drag some more friends here to see ZNMD one more time. They haven’t seen it yet. I’ve been singing that darned Senorita song all day. Hrithik says he’s not a natural dancer, that he just works at it until he gets it right. Hard to believe when he does it like that. Julie M: Well, he can sure move, even in a normal day-to-day way, and he obviously takes direction well, so I’ll live with the fantasy for a while. And he’s a decent actor, not just a pretty face. (although acting-wise I still like Aamir and Ajay) In fact, I am trying to entice a couple of my movie buddies here–we like to go to art films together, mainly the British ones–to branch out into Indian films, at least for ZNMD, and my persuasive ace in the hole was the chance to watch Hrithik, with whom they are not familiar but I gave them links to introduce them to him, on the big screen for over 2 hours. They are so far not biting. Sigh. I watched Bawandar yesterday. Powerful and made me angry at India, the backwardness and corruption, even in the so-called social service NGOs (those Delhi women were horrible). I also found myself mentally comparing the slick Bollywood version of rural Rajasthan in Paheli to the more realistic depiction in Bawandar. Similar turbans, but that’s about it. Today I am picking up my weekly haul at the library, which consists of Aaja Nachle (haven’t seen Madhuri lead in a film since I saw Devdas, or half of Devdas), Bhool Bhulaiya and Love Aaj Kal. Yes, pickings are getting pretty slim. I’m not exactly sure how many films are in the library system, but it’s not very many and they don’t add new ones often because of budget cuts. Jenny K: I’m glad you liked Bawandar. I think it is one of the strongest films I’ve seen, and Nandita and Raghuvir are both wonderful in it. Raghuvir is a very versatile actor and can really make me cry, like here, [Spoilers]when he stands up for his wife, no matter what, and how he reacts as he can’t help when she’s being raped. You recognize the actors in this one? Nandita Das was the birth mother in Kannathil Muthamittal, the head thug was Yashpal Sharma who played the judas, Lakha, in Lagaan, and Raghuvir Yadav was the chicken guy in Lagaan, SRK’s best friend at the radio station in Dil Se, the writer in Meenaxi, and he’s in Aaja Nachle, too. He only does about one or two films a year, but they are always good solid acting jobs. He’s a musician and does some of his own singing, sometimes. I’m glad you got Aaja Nachle, I was thinking about sending it to you in the next package (are you finished with the last one now? ), so this saves space. Madhuri is one of the few women that Bollywood has let do a lead, essentially by herself. And this one didn’t do well enough at the Indian box office to merit giving her another, but I quite liked it, enough to buy it 🙂 The dancing is fabulous! She looks great (first movie after having a baby), except the appearing and disappearing hair thing, which shouldn’t bother me by now, but it still does. Her hair changes length as much as my Growing Hair Chrissy Doll did when I played with her as a kid…do you think Madhuri has a knob in the middle of her back? I also like Konkona and Kunal as the second couple in this one. Sorry your friends aren’t biting yet. It’s fun to have a cohort to enable one in movie binging. I usually resort to the “first movie free, on me” gambit, so that if they hate it I don’t feel guilty. Usually they agree…and get sucked in. However, I want to encourage you to brave it out and go alone to ZNMD by yourself if you have to. It’s good enough to see on a big screen, and, if you are there by yourself, you have the added benefit of the Indian ladies there end up chatting with you at the intermission or as you walk out. They are curious as to why you are there, and what you think. If you drop a few names, of people you like, they’ll love it… “You know our movies?!? Ah, Sanjay, she watches more than we do! Are you married to an Indian?” It’s fun, and they are tickled to death.